Snow White and the Huntsman's top international markets are the following (figures up to either July 1 or June 24, depending on the country): the United Kingdom with $20.91 million, Mexico with $13.52 million, Australia with $12.26 million, Germany with $11 million, Japan with $10.93 million, Brazil with $10.89 million, and Russia/CIS with $10.27 million. Also in the Snow White and the Huntsman cast: Bob Hoskins, Ian McShane, Eddie Marsan, Ray Winstone, Vincent Regan, Noah Huntley, Nick Frost, Rachael Stirling, and Toby Jones. The screenplay was credited to six hands: Evan Daugherty, John Lee Hancock, and Hossein Amini. Snow White and the Huntsman has become Kristen Stewart's fifth movie to gross more than $300 million worldwide. Stewart's other four $300m+ titles are all Twilight movies: Catherine Hardwicke's Twilight (2008) scored a surprising $392.61m; Chris Weitz's New Moon (2009) earned $709.82m; David Slade's Eclipse $698.49 million (2010); and Bill Condon's Breaking Dawn - Part 1 $705.05 million (2011). Kristen Stewart will inevitably have her sixth $300m+ blockbuster later this year: Condon's Breaking Dawn - Part 2. Co-starring Stewart's fellow Twilight players Robert Pattinson and Taylor Lautner, the last installment in the Twilight franchise opens Nov. 16, 2012. Besides Snow White and the Huntsman, Chris Hemsworth's two $300m+ movies – also not including J.J. Abrams' Star Trek, in which Hemsworth has a minor role – are both Marvel adaptations in which he plays the same character: Kenneth Branagh's Thor, with Hemsworth in the title role, brought in $449.32 million last year, while Joss Whedon's The Avengers currently has an phenomenal $1.448 billion cume. Whedon's ensemble superhero adventure, I should add, passed the $600 million milestone in North America last week. In addition to Chris Hemsworth, The Avengers features Chris Evans, Scarlett Johansson, Mark Ruffalo, Tom Hiddleston, Robert Downey Jr, and Jeremy Renner. Charlize Theron has thus far only one other $300m+ worldwide hit – and that's not a “Charlize Theron star vehicle”: after all, Hancock (2008) is for all intents and purposes a “Will Smith movie.” Directed by Battleship's Peter Berg, the fantasy drama drew $624.38 million. Ridley Scott's Prometheus, in which Theron is part of an ensemble that includes Michael Fassbender, Noomi Rapace, Guy Pearce, Logan Marshall-Green, and Idris Elba, has thus far raked in $284.86 million worldwide. And finally, relative newcomer Sam Claflin – much like Charlize Theron – has only one other $300m+ hit. 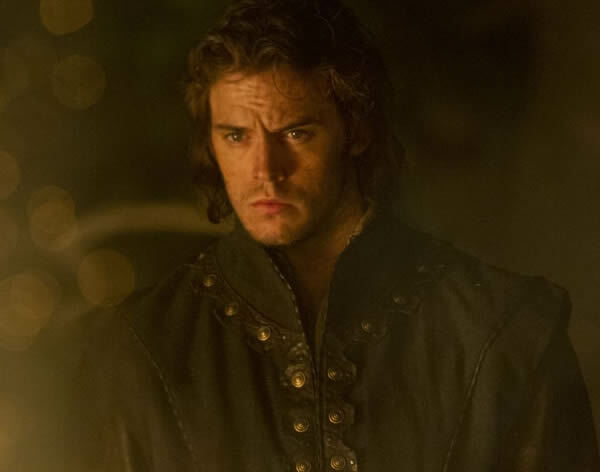 Once again much like Theron, Claflin's (major) blockbuster was a star vehicle for somebody else: Rob Marshall's Pirates of the Caribbean: On Stranger Tides (2011), toplining Johnny Depp and Penélope Cruz, collected an astounding $1.043 billion worldwide. * Remember, studios generally get around 50 percent of their films' domestic box office gross; 40 percent from the international take. Overseas, Universal's $170 million-budget production was the no. 2 movie, trailing only Madagascar 3: Europe's Most Wanted. According to The Hollywood Reporter, Snow White and the Huntsman was the top movie in France, Japan, Australia and New Zealand, raking in $22.6 million at 6,780 locations in 60 markets. Snow White and the Huntsman's international (and, really, domestic) trajectory has been impressive considering that it stars “unproven” box office draws – Kristen Stewart has been a powerhouse only as Twilight's Bella Swan; same for Chris Hemsworth as Thor; it's a period piece without the Lord of the Rings following; it's not a sequel (unlike Men in Black 3); and it's not in 3D. Snow White and the Huntsman's estimated worldwide total is $297.5 million, which means the Kristen Stewart / Chris Hemsworth / Charlize Theron vehicle will pass the $300 million milestone either on Monday or, at the very latest, on Tuesday. Though not exactly a certainty, Snow White and the Huntsman may reach $350-360 million worldwide before the end of its run. If so, Rupert Sanders' period fantasy / adventure will likely recoup its production budget at the global box office. Now, another $170-190 million would be needed to cover Universal's marketing / distribution expenses on Snow White and the Huntsman. Those usually amount to about 50-60 percent of a film's budget. Remember, as a rule of thumb, Hollywood studios get around 50 percent of a film's box office gross in North America and 40 percent of the overseas take. In sum: Snow White and the Huntsman is an undeniable box office success. However, the movie will need worldwide ancillary revenues (TV / DVD/Blu-ray / VOD, etc) to recover its gargantuan costs. That's how it works for most big-budget Hollywood movies, as very few manage to recover their budget and marketing / distribution expenses at the box office alone. Kristen Stewart Snow White and the Huntsman 2012 picture: Alex Bailey / Universal Pictures. Snow White and the Huntsman box office: Directed by Rupert Sanders, and starring Kristen Stewart, Chris Hemsworth, Best Actress Oscar winner Charlize Theron, and Sam Claflin, Snow White and the Huntsman will in all likelihood pass the $250 million milestone at the worldwide box office on Monday, June 18. As of Sunday, June 17, Snow White and the Huntsman has collected $247.2 million worldwide: $124.6 million overseas; $122.6 million in North America, according to studio estimates found at Box Office Mojo. Internationally, Snow White and the Huntsman was the top movie in Japan, scoring $4.7 million. Additionally, it opened with $6.1 million in Russia and $5.1 million in France. Its international total this weekend was $31.2 million in 57 territories. Only the 3D animated feature Madagascar 3: Europe's Mosted Wanted was more popular, having raked in $53 million. Up to June 10, Snow White and the Huntsman's biggest international territories were the United Kingdom with $14.66 million, Mexico with $9.15 million, Germany with $7.68 million, Brazil with $6.93 million, and Spain with $6.62 million. Snow White and the Huntsman has been holding up particularly well in Brazil and the UK: in both countries, the film's first weekend take was only around 37 percent of its ten-day gross vs. Mexico, 56 percent; Germany, 53 percent; and Spain, 60 percent. Also worth noting, this weekend the scale has finally tipped in favor of the international box office, which currently accounts for 50.4 percent of Snow White and the Huntsman's global cume. Chances are that percentage will grow in the coming weeks, as SWATH has lost quite a bit of steam at the domestic box office – and the film has yet to open in a handful of major and mid-level territories, including Australia, New Zealand, and Chile. In North America, Rupert Sanders' period fantasy / adventure way overperformed when it debuted two weekends ago, grossing $56.2 million. The following weekend, the Snow White and the Huntsman box office was down an alarming 59 percent – likely due to strong competition from Madagascar 3 and Ridley Scott's sci-fier Prometheus, in addition to the possibility that Kristen Stewart's fans may have gone en masse on opening weekend to see Stewart play a Joan of Arc'ed version of Snow White. However, as expected, Snow White and the Huntsman's domestic box office performance has stabilized somewhat. True, reviews and word of mouth haven't been laudatory, but they haven't been damning, either. In fact, this weekend in the U.S. and Canada, SWATH grossed an estimated $13.8 million at 3,701 locations, or about 10 percent more than early estimates indicated. If that figure is accurate, the film was down a perfectly acceptable 40 percent from a week ago, after losing 76 venues (about 3 percent of its theaters). Something else worth noting: despite two high-profile new releases this weekend – Tom Cruise's Rock of Ages and Adam Sandler / Andy Samberg's That's My Boy – Snow White and the Huntsman stood firm at no. 4, down only one slot from a week ago. Rock of Ages grossed only $1.2 million more at 3,470 sites; That's My Boy, possibly to become Adam Sandler's biggest box office flop ever (in relation to his films' budgets), was $800,000 behind at 3,030 theaters. Written by Killing Season's Evan Daugherty, The Blind Side's John Lee Hancock, and Drive's Hossein Amini, Snow White and the Huntsman features Breaking Dawn - Part 2's Kristen Stewart as Snow White, The Avengers' Chris Hemsworth as the Scottish-accented Huntsman, Monster's Charlize Theron as the Evil Queen Ravenna, and Pirates of the Caribbean: On Stranger Tides' Sam Claflin as Prince Charming. In addition to: Hollywoodland's Bob Hoskins, The Sweeney's Ray Winstone, Shrek the Third's Ian McShane, My Week with Marilyn's Toby Jones, Sherlock Holmes' Eddie Marsan, The Moth Diaries' Lily Cole, 300's Vincent Regan, The Chronicles of Narnia: The Lion, the Witch and the Wardrobe's Noah Huntley, Shaun of the Dead's Nick Frost, and The Young Victoria's Rachael Stirling. Snow White and the Huntsman / Kristen Stewart as Snow White, Chris Hemsworth as the Huntsman, Rupert Sanders director pictures: Alex Bailey / Universal Pictures. Box office: Snow White and the Huntsman trailed both Ridley Scott / Michael Fassbender / Noomi Rapace's horror sci-fier Prometheus and the Ben Stiller / David Schwimmer-voiced 3D animated feature Madagascar 3: Europe's Most Wanted this past weekend at the North American box office. Directed by feature-film newcomer Rupert Sanders, Snow White and the Huntsman scored $23.05 million according to box office actuals found at Box Office Mojo. That's down a hefty 59 percent from last weekend. Starring Kristen Stewart, Charlize Theron, Chris Hemsworth, and Sam Claflin, Snow White and the Huntsman was expected to reach $26-$28 million over the weekend according to predictions and early Friday estimates. The fantasy adventure would thus pass the $100 million milestone in North America after only 10 days. As a result of its steep attendance drop, that didn't happen. SWATH's cume after 10 days reached $98.53 million. Barring a monstrous drop, Snow White and the Huntsman will be passing $100 million some time today. Else, at the very latest on Tuesday. Snow White and the Huntsman's worldwide total after 10 days is an estimated $182.03 million. SWATH will surely cross the $200 million milestone worldwide before next Sunday – perhaps even before next Friday, depending on how Sanders' movie holds up during the week. Next weekend, Snow White and the Huntsman opens in France, Russia, Japan, and other smaller markets. A curiosity: as mentioned in a previous post, two Snow White and the Huntsman performers have two movies among the top five on the North American box office chart. Charlize Theron's other box office success is Prometheus (which earned $51.05 million at no. 2, or a little more than the $50 million estimate released yesterday); Chris Hemsworth's is The Avengers (which added $11.24 million at no. 5). * Note from the editor: On its first weekend in Brazil, Snow White and the Huntsman sold 468,000 tickets at 447 venues. This past weekend, SWATH sold 413,140 tickets – a small 12 percent drop – at an unspecified number of locations. Made in Dagenham's Bob Hoskins, The Sweeney's Ray Winstone, Shrek the Third's Ian McShane, My Week with Marilyn's Toby Jones, Sherlock Holmes' Eddie Marsan, The Moth Diaries' Lily Cole, Clash of the Titans' Vincent Regan, 28 Days Later's Noah Huntley, Shaun of the Dead's Nick Frost, and Salmon Fishing in Yemen's Rachael Stirling. Snow White and the Huntsman / Kristen Stewart as Snow White picture: Alex Bailey / Universal Pictures. Snow White and the Huntsman, which “premiered” last Friday in North America, has already passed the $100 million milestone at the worldwide box office. Directed by feature-film first-timer Rupert Sanders, the period fantasy adventure stars The Twilight Saga: Breaking Dawn - Part 2's Kristen Stewart, The Avengers' Chris Hemsworth, Prometheus' Charlize Theron, and Pirates of the Caribbean: On Stranger Tides' Sam Claflin. According to Box Office Mojo, as of Tuesday Snow White and the Huntsman's partially updated worldwide box office cume stood at $106.45 million. I say “partially” because although domestic box office figures have been updated daily, international figures are estimates up to Sunday. For the record: Snow White and the Huntsman has taken in $67.15 million in the U.S. and Canada and (as of Sunday) an estimated $39.3 million in 45 markets. SWATH easily topped the North American box office last weekend, though, screening at fewer theaters (and in 2D), it trailed Men in Black III and Prometheus overseas. 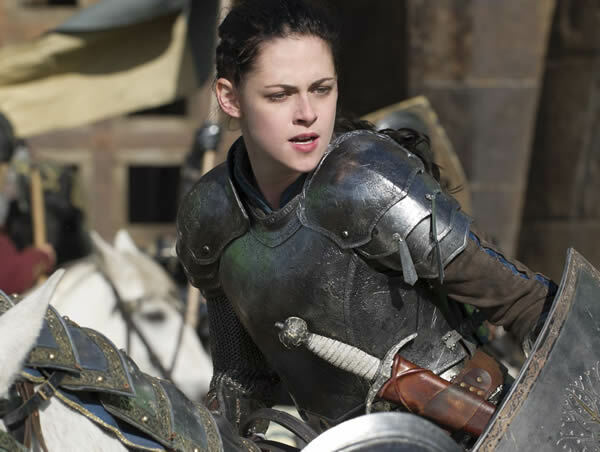 Box-office actuals are currently available for only 31 of SWATH's 45 international markets; those total $30.5 million. Snow White and the Huntsman's top territories were the United Kingdom (an estimated $5.5 million), Mexico ($4.9 million), Germany ($4.07 million), Spain ($3.96 million), South Korea ($2.95 million), and Brazil ($2.58m). Budgeted at $170m, Snow White and the Huntsman was written by Evan Daugherty (Killing Season), John Lee Hancock (The Blind Side), and Hossein Amini (Drive). Besides Kristen Stewart (Snow White), Charlize Theron (Evil Queen), Chris Hemsworth (Huntsman), and Sam Claflin (Prince Charming), the SWATH cast includes Who Framed Roger Rabbit's Bob Hoskins, The Sweeney's Ray Winstone, Shrek the Third's Ian McShane, My Week with Marilyn's Toby Jones, and Vera Drake's Eddie Marsan. In addition to: The Imaginarium of Doctor Parnassus' Lily Cole, Clash of the Titans' Vincent Regan, 28 Days Later's Noah Huntley, Shaun of the Dead's Nick Frost, and Young Victoria's Rachael Stirling. Directed by Rupert Sanders, and starring The Twilight Saga: Breaking Dawn - Part 2's Kristen Stewart, Thor's Chris Hemsworth, Prometheus' Charlize Theron (as Ravenna, picture), and Pirates of the Caribbean: On Stranger Tides' Sam Claflin, Snow White and the Huntsman easily took the crown at the North American box office this past weekend. According to box office actuals found at Box Office Mojo, SWATH took in $56.21 million at 3,773 venues, or a tiny bit less than studio estimates. Its per-theater average was $14,900, particularly remarkable for a 2-hour+ 2D movie. Also worth noting is that Snow White and the Huntsman grossed more than the next three movies (Men in Black III, The Avengers, Battleship) combined. It also grossed more than twice Men in Black 3's second-weekend take, $28.07 million (down 48 percent – which isn't really bad, considering that the previous Sunday had preceded a major holiday). Will Smith, Tommy Lee Jones, Josh Brolin, and Emma Thompson topline MIB3. The Avengers took in $20.48 million (down 44 percent) over the weekend, cuming at $552.95 million. Directed by Joss Whedon, Marvel / Disney's actioner stars SWATH's Chris Hemsworth, Chris Evans, Robert Downey Jr, Scarlett Johansson, Mark Ruffalo, Jeremy Renner, and Tom Hiddleston. Note: Chris Hemsworth has two movies among the top three on the domestic box office chart. At no. 5, Sacha Baron Cohen's The Dictator added $4.7 million (down 49 percent). Domestic cume: $50.81 million. Rounding out the top twelve on the North American chart this past weekend were Judi Dench / Maggie Smith's The Best Exotic Marigold Hotel with $4.48m; Cameron Diaz / Jennifer Lopez / Brooklyn Decker's What to Expect When You're Expecting with $4.4m; and Tim Burton / Johnny Depp / Michelle Pfeiffer's Dark Shadows with $3.7 million. Also: the horror flick Chernobyl Diaries with $3.12m; new entry For Greater Glory with a weak $1.88 million at 757 locations, averaging a paltry $2,491 per site; Jennifer Lawrence / Liam Hemsworth / Josh Hutcherson's The Hunger Games with $1.56 million and Richard Linklater / Jack Black / Matthew McConaughey / Shirley MacLaine's Bernie with $897,000. Still performing extremely well in limited release is Wes Anderson's Moonrise Kingdom, which scored $876k (at no. 13) at only 16 locations. The opening-night movie at this year's Cannes Film Festival, Moonrise Kingdom's per-theater average was an outstanding $54,805. The cast includes Edward Norton, Frances McDormand, and Bruce Willis. Charlize Theron as Ravenna / Snow White and the Huntsman picture: Alex Bailey / Universal Pictures. Snow White and the Huntsman's box office grosses in North America have been far higher than anticipated. Directed by feature-film newcomer Rupert Sanders, and starring Breaking Dawn - Part 2's Kristen Stewart as Snow White, The Avengers' Chris Hemsworth as the Huntsman, Prometheus' Charlize Theron as the Evil Queen Ravenna, and Pirates of the Caribbean: On Stranger Tides' Sam Claflin as Prince Charming, Snow White and the Huntsman was expected to earn between $30m-$40 million on its first weekend out. Instead, the $170 million-budgeted SWATH pulled in a remarkable $56.25 million at 3,773 locations according to studio estimates found at Box Office Mojo. Another feat: Snow White and the Huntsman's grosses were bigger than the combined take of the next three films on the domestic box office chart: Men in Black III ($29.3 million), The Avengers ($20.27 million), and Battleship ($4.81m). Additionally, SWATH's opening-weekend gross is the fourth biggest of 2012, behind only The Avengers, The Hunger Games, and Dr. Seuss' The Lorax. After three days, Rupert Sanders' film is already no. 21 among 2012's biggest domestic box office hits. Something else worth noting: without the advantage of 3D-inflating ticket costs, Snow White and the Huntsman averaged an impressive $14,910 per theater. Boosted by 3D surcharges, Men in Black III averaged $12,851 on its first weekend. Another 3D entry, Sam Worthington's adventure fantasy Wrath of the Titans averaged $9,438. On the other hand, as a result of weaker reviews and the lack of a ready-made fan base, SWATH fared much more modestly than Gary Ross / Jennifer Lawrence's The Hunger Games, a futuristic 2D adventure drama that averaged $36,871. Now, comparing Snow White and the Huntsman to Tim Burton / Johnny Depp's Alice in Wonderland ($116.1 million on opening weekend in March 2010) would be unfair because unlike Rupert Sanders' dark PG-13 rehash of the old Snow White story, Burton's PG fantasy targeted kids and their parents / guardians with enough cash to buy more expensive 3D tickets. An estimated 52 percent of those attending Snow White and the Huntsman on its opening weekend were 30 and older. A fairer comparison would thus be between SWATH and another Universal movie based on an old legend: Ridley Scott / Russell Crowe / Cate Blanchett's gritty, more adult-oriented Robin Hood, which debuted with $36.1 million at 3,503 locations in 2010. Note that Robin Hood cost a reported $237 million ($200 million after rebates). It raked in $105.26 million at the domestic box office, in addition to a much healthier $216.4 million overseas. Written by Evan Daugherty (Killing Season), John Lee Hancock (The Blind Side), and Hossein Amini (Drive), in addition to Kristen Stewart (Snow White), Charlize Theron (Evil Queen), Chris Hemsworth (Huntsman), and Sam Claflin (Prince Charming), the SWATH cast includes Who Framed Roger Rabbit's Bob Hoskins, The Departed's Ray Winstone, Shrek the Third's Ian McShane, The Hunger Games' Toby Jones, and Vera Drake's Eddie Marsan. Kristen Stewart / Snow White and the Huntsman picture: Alex Bailey / Universal Pictures. Will Smith, a consistent box office draw in different types of roles and film genres for the last 15 years, e.g., drama (The Pursuit of Happyness), action (Bad Boys II), thriller (I, Robot), comedy (Hitch), fantasy (Hancock), science-fiction / horror (I Am Legend). The Men in Black brand: Men in Black II and Men in Black grossed a total of $441 million (not adjusted for inflation) at the domestic box office. 3D surcharges that can increase movie-ticket prices by up to 45 percent. Screenings at 4,248 locations, or about 450 more theaters than SWATH. A pre-holiday Sunday, which translates into a much stronger box office performance. Last Monday was Memorial Day in the U.S.; MIB3 was down only 18 percent from Saturday, whereas average Sunday drop-off rates range from 30%-40 percent. A Universal release, Snow White and the Huntsman is the centenarian studio's first strong box office performer since the animated 3D feature Dr. Seuss' The Lorax in early March. Universal's ensuing releases have all been misfires at the U.S. and Canada box office: Peter Berg / Taylor Kitsch's $209 million-budgeted Battleship, Jason Biggs / Seann William Scott's $50 million comedy American Reunion, and the Judd Apatow-produced $30 million comedy The Five-Year Engagement. To date, those three movies have raked in $55.12 million, $56.71 million, and $28.28 million, respectively. If estimates are accurate, on one single weekend Snow White and the Huntsman has earned more than the testosterone-fueled Battleship after three weekends; nearly as much as American Reunion during the course of its eight-week run; and about twice as much as The Five-Year Engagement after six weekends. Following Joss Whedon / Chris Evans' May opener The Avengers, which also features SWATH's Chris Hemsworth, all other major (and mid-level) domestic releases have been underperformers: the aforementioned Battleship; Sony Pictures' costly Men in Black 3 (budgeted at somewhere between $225m-$300m); Paramount's The Dictator, starring Sacha Baron Cohen; Warner Bros.' Dark Shadows, directed by Tim Burton, and starring Johnny Depp and Michelle Pfeiffer; and Lionsgate's What to Expect When You're Expecting, featuring an ensemble cast that includes Cameron Diaz, Jennifer Lopez, and Battleship's Brooklyn Decker. Snow White and the Huntsman is the first wide release to buck that trend. Chris Hemsworth / Snow White and the Huntsman picture: Alex Bailey / Universal Pictures. It's also worth noting that Snow White and the Huntsman is the second action / adventure movie featuring women in key roles – Kristen Stewart's Snow White, Charlize Theron's Evil Queen Ravenna – that has performed strongly at the domestic box office. Starring Jennifer Lawrence as Katniss Everdeen, Gary Ross' The Hunger Games is one of 2012's biggest box office hits, having to date collected $398.74 million. Meanwhile, with the exception of Disney's all-star The Avengers, male-dominated action / fantasy flicks have mostly been box office disappointments – or downright bombs – at the U.S. and Canada box office, e.g., Andrew Stanton / Taylor Kitsch's John Carter with a cume of $72.58m; Will Smith / Tommy Lee Jones' Men in Black III, which opened about $10-15 million below expectations; another Taylor Kitsch action movie, the Peter Berg-directed Battleship, which, as mentioned in the previous post, has grossed $55 million after three weekends; and Tim Burton / Johnny Depp's costly (see below) fantasy comedy Dark Shadows, with $70.83 million after four weekends. As mentioned in the first part of this four-part SWATH article, Snow White and the Huntsman cost $170 million. Here are a few budget comparisons: Men in Black III cost anywhere between $225m-$300m, Wrath of the Titans cost $150m, Battleship $209 million, John Carter $250m, The Avengers $225 million, Dark Shadows $150m, Tim Burton / Johnny Depp / Mia Wasikowska's Alice in Wonderland $200m, and Gary Ross / Jennifer Lawrence / Liam Hemsworth's The Hunger Games $78 million. Much was said about two Snow White movies being made (and released) back to back: Relativity Media's Mirror Mirror and Universal's Snow White and the Huntsman. Initially, Universal moved the release date of its Snow White film so it would come out before Relativity's. But then Relativity retaliated by moving up the release date of its own Snow White film. Reportedly budgeted at $85 million – half the Snow White and the Huntsman production budget – Mirror Mirror debuted with a disappointing $18.13 million, going on to cume at $62.54 million in the U.S. and Canada. As is usually the case with fantasy, action, and adventure movies, Mirror Mirror performed better overseas, bringing in $97.9 million. Its top territories were the United Kingdom, Russia/CIS (includes most of the former Soviet Union), and Brazil. At the international box office, Snow White and the Huntsman opened with a strong $39.3 million at 4,487 venues in 45 markets. SWATH was no. 1 in 30 of those territories, trailing either 20th Century Fox / Ridley Scott's Prometheus, which also features SWATH's Charlize Theron, or Men in Black 3 in most of the other markets. SWATH's top territory was the United Kingdom, where it scored $5.5 million. Here's the breakdown for Snow White and the Huntsman's other top markets: Mexico with $4.4 million, Germany $4 million, Spain $3.8 million, South Korea $3 million, and Brazil $2.5 million. Ahead of Snow White and the Huntsman at the international box office was Men in Black 3 on its second weekend out. MIB3 had three major advantages over Snow White: it's already playing in megamarkets China and Russia, it's screening at 19,992 locations (about four times more than Snow White, and it's in 3D, a major box office booster abroad. Men in Black 3 collected $79.1 million in 90 markets. Also with the assistance of 3D surcharges, Prometheus scored an estimated $35 million at 4,695 screens in 15 markets. Snow White and the Huntsman has yet to open in a number of major markets, including Australia, France, Italy, Japan and Russia. For the time being, I haven't been able to find any information on whether or not SWATH will be screened in China. Curiously, Kristen Stewart isn't exactly a major star in that country – the second biggest market (after the United States) for American movies – as none of the Twilight movies has been shown there. Anyhow, Snow White and the Huntsman should pass the $100 million milestone at the worldwide box office some time on Monday. SWATH's current (estimated) worldwide box office cume is $95.55 million. Walter Salles' On the Road, which was screened at the Cannes Film Festival. Based on Jack Kerouac's novel, On the Road also features Sam Riley, Garrett Hedlund, Kirsten Dunst, Viggo Mortensen, Amy Adams, Danny Morgan, Alice Braga, and Tom Sturridge. Distributed by IFC Films / Sundance Selects, On the Road should open in the US later this year. Bill Condon's The Twilight Saga: Breaking Dawn - Part 2, with Robert Pattinson and Taylor Lautner, in addition to Twilight regulars Elizabeth Reaser, Peter Facinelli, Kellan Lutz, Ashley Greene, Nikki Reed, Jackson Rathbone, Billy Burke, Michael Sheen, Dakota Fanning, Booboo Stewart, and Jamie Campbell Bower. Charlize Theron is one of the space cadets in Ridley Scott's Prometheus. The Alien prequel, which opened this weekend in several markets, also features Michael Fassbender, Noomi Rapace, Logan Marshall-Green, Guy Pearce, Idris Elba, Sean Harris, and Rafe Spall. Chris Hemsworth's 2012 movies are Drew Goddard's horror flick The Cabin in the Woods and Joss Whedon's The Avengers, a Marvel / Disney release co-starring Chris Evans, Scarlett Johansson, Jeremy Renner, Robert Downey Jr, Mark Ruffalo, and Tom Hiddleston. Next in line for Hemsworth is Dan Bradley's Red Dawn, with Josh Hutcherson, Isabel Lucas, and Josh Peck. And next year, Hemsworth will be seen in Ron Howard's Rush, an auto-racing drama featuring Olivia Wilde, Daniel Brühl, Alexandra Maria Lara, and Natalie Dormer. Snow White and the Huntsman international box office: The Hollywood Reporter. Other box office information: Box Office Mojo. Chris Hemsworth, Bob Hoskins, Toby Jones, etc. / Snow White and the Huntsman picture: Alex Bailey / Universal Pictures. Snow White and the Huntsman's box office performance in North America on Friday, June 1, has far surpassed the expectations of both Universal Pictures and box office prognosticators. Directed by Rupert Sanders, and starring Kristen Stewart, Chris Hemsworth, Charlize Theron, and Sam Claflin, Snow White and the Huntsman was expected to earn between $30m-$40 million on its first weekend. Something else that makes Snow White and the Huntsman's opening-day box office performance even more impressive is that Rupert Sanders' film received wildly mixed reviews. SWATH currently has a so-so 62 percent approval rating and a 6.2/10 average among Rotten Tomatoes' top critics. One curiosity I should point out: SWATH has fared much better with Rotten Tomatoes' “top critics” than with that site's “average critics,” with whom Sanders' film has only a 45 percent approval rating (and a 5.5./10 average). Generally speaking, “top critics” tend to be quite a bit harsher. A Universal release, Snow White and the Huntsman reportedly cost $170 million. It's the studio's first solid box office performer since Dr. Seuss' The Lorax in early March, as its ensuing releases have all been misfires at the domestic box office: Peter Berg / Taylor Kitsch's $209 million-budgeted Battleship, Jason Biggs / Seann William Scott's $50 million comedy American Reunion, and the Judd Apatow-produced $30 million comedy The Five-Year Engagement. To date, those three movies have raked in $50.31 million, $56.71 million, and $28.1 million, respectively. Following The Avengers, which opened about four weeks ago, all other major (or mid-level) releases have been box office underperformers in the U.S. and Canada: Men in Black 3, Battleship, Sacha Baron Cohen's The Dictator, Tim Burton / Johnny Depp / Michelle Pfeiffer's Dark Shadows, and Cameron Diaz / Jennifer Lopez's What to Expect When You're Expecting. If estimates hold, Snow White and the Huntsman will become the first release to buck that trend. Walter Salles' On the Road, featuring Sam Riley, Garrett Hedlund, Kirsten Dunst, Viggo Mortensen, Amy Adams, Danny Morgan, Alice Braga, and Tom Sturridge. Bill Condon's The Twilight Saga: Breaking Dawn - Part 2, with Robert Pattinson, Taylor Lautner, plus Twilight regulars Elizabeth Reaser, Peter Facinelli, Kellan Lutz, Ashley Greene, Nikki Reed, Jackson Rathbone, Billy Burke, Michael Sheen, Dakota Fanning, Booboo Stewart, and Jamie Campbell Bower. Charlize Theron is in Ridley Scott's Prometheus. The Alien prequel also features Michael Fassbender, Noomi Rapace, Logan Marshall-Green, Guy Pearce, Idris Elba, Sean Harris, and Rafe Spall. Chris Hemsworth 2012 movies are Drew Goddard's The Cabin in the Woods and The Avengers, co-starring Chris Evans, Scarlett Johansson, Jeremy Renner, Robert Downey Jr, Mark Ruffalo, and Tom Hiddleston. Next is Dan Bradley's Red Dawn, with Josh Hutcherson, Isabel Lucas, and Josh Peck. Snow White and the Huntsman's box office performance in North America, if early estimates are accurate, has surpassed the expectations of both Universal Pictures and box office prognosticators. Directed by feature-film newcomer Rupert Sanders, and starring Kristen Stewart, Chris Hemsworth, Charlize Theron, and Sam Claflin, Snow White and the Huntsman was expected to earn somewhere between $30m-$40 million on its debut weekend. It turns out the period adventure fantasy may reach $56 million after collecting an estimated $21 million at 3,773 locations on Friday. A Universal release, Snow White and the Huntsman cost a reported $170 million. It's the studio's first solid performer since Dr. Seuss' The Lorax, as Peter Berg / Taylor Kitsch's $209 million-budgeted Battleship, Jason Biggs / Seann William Scott's $50 million comedy American Reunion, and the Judd Apatow-produced $30 million comedy The Five-Year Engagement were all domestic box office misfires, grossing to date $50.31 million, $56.71 million, and $28.1 million, respectively. Snow White and the Huntsman received wildly mixed reviews. It currently has a 62 percent approval rating and a 6.2/10 average among Rotten Tomatoes' top critics. It's curious that SWATH performed much better with Rotten Tomatoes' “top critics” than with the site's “average critics,” with whom Sanders' film has a much lower 46 percent approval rating (and a 5.5./10 average). Generally speaking, “top critics” tend to be quite a bit harder to please. As per Deadline, moviegoing audiences have given Snow White and the Huntsman a B CinemaScore. Some see that as a positive score; others see it as mediocre. Either way, whether those scores actually affect a movie's overall box office performance is open to debate. A B+ certainly didn't help John Carter, while the B-rated Channing Tatum / Rachel McAdams romantic melodrama The Vow became one of this past winter's biggest sleeper hits. Since the (to a certain extent) surprising megablockbuster performance by Disney / Marvel's The Avengers, which opened a month ago, all other major (or semi-major) releases have been box office underperformers in the U.S. and Canada: Men in Black 3, Battleship, Sacha Baron Cohen's The Dictator, Tim Burton / Johnny Depp's Dark Shadows, and Cameron Diaz / Jennifer Lopez's What to Expect When You're Expecting. Snow White and the Huntsman will apparently become the first movie to buck that trend. Walter Salles' On the Road, which, in addition to Stewart, features Sam Riley, Garrett Hedlund, Kirsten Dunst, Viggo Mortensen, Amy Adams, Danny Morgan, Alice Braga, and Tom Sturridge. Bill Condon's The Twilight Saga: Breaking Dawn - Part 2, featuring Robert Pattinson, Taylor Lautner, plus the usual Twilight players Elizabeth Reaser, Peter Facinelli, Kellan Lutz, Ashley Greene, Nikki Reed, Jackson Rathbone, Billy Burke, Michael Sheen, Dakota Fanning, Booboo Stewart, and Jamie Campbell Bower. Charlize Theron is one of the stars in Ridley Scott's horror sci-fier Prometheus. The Alien prequel also features Michael Fassbender, Noomi Rapace, Logan Marshall-Green, Guy Pearce, Idris Elba, Sean Harris, and Rafe Spall. Chris Hemsworth has two previous 2012 movies: Drew Goddard's The Cabin in the Woods and The Avengers, co-starring Chris Evans, Scarlett Johansson, Jeremy Renner, Robert Downey Jr, Mark Ruffalo, and Tom Hiddleston. Next is Dan Bradley's Red Dawn, with Josh Hutcherson, Isabel Lucas, and Josh Peck. Charlize Theron / Snow White and the Huntsman picture: Alex Bailey / Universal Pictures. Snow White and the Huntsman box office: Universal Pictures may finally have a good-sized hit in its hands, if (very) early estimates of $19-$21 million for Friday (up from $17m-$19 million a few hours ago) and $50-$56 million (up from $48m-$52m) for the weekend pan out. Directed by Rupert Sanders, Snow White and the Huntsman stars Kristen Stewart as Snow White, Charlize Theron as the Evil Queen, Chris Hemsworth as The Huntsman, and Sam Claflin as Prince Charming. The Gothic period adventure drama cost a reported $170 million. 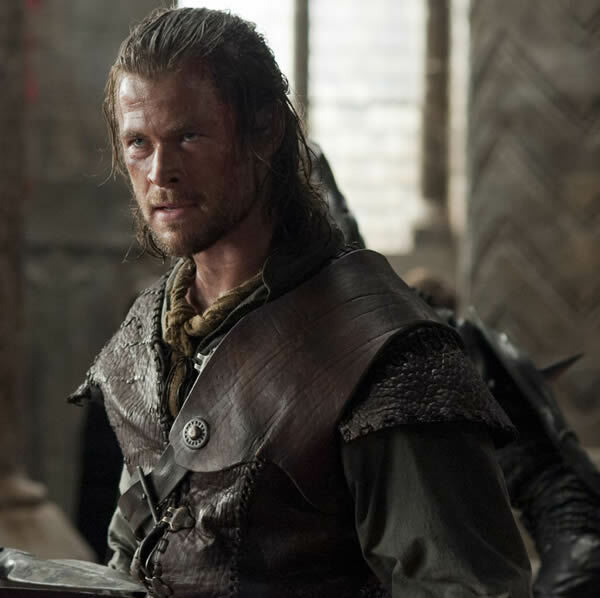 Box Office: Snow White and the Huntsman to buck post-The Avengers downward trend? Since the (to a certain extent) surprising mega-blockbuster performance by Disney / Marvel's The Avengers, which opened a month ago, all other major (or semi-major) releases have been box office underperformers in the U.S. and Canada: Men in Black 3, Peter Berg / Taylor Kitsch's Battleship, Sacha Baron Cohen's The Dictator, Tim Burton / Johnny Depp's Dark Shadows, and Cameron Diaz / Jennifer Lopez's What to Expect When You're Expecting. Snow White and the Huntsman may be the first movie to buck that trend. Walter Salles' On the Road, which received mixed reviews at the Cannes Film Festival, should open in the US later this year. In addition to Stewart (as Marylou), On the Road features Sam Riley, Garrett Hedlund, Kirsten Dunst, Viggo Mortensen, Amy Adams, Danny Morgan, Alice Braga, and Tom Sturridge. Bill Condon's The Twilight Saga: Breaking Dawn - Part 2, in which Kristen Stewart plays Bella Swan for the last time. Her co-stars are Robert Pattinson and Taylor Lautner. Also in the Breaking Dawn - Part 2 cast are Elizabeth Reaser, Peter Facinelli, Booboo Stewart, Kellan Lutz, Ashley Greene, Nikki Reed, Jackson Rathbone, Billy Burke, Michael Sheen, Dakota Fanning, and Jamie Campbell Bower. Charlize Theron has another 2012 release as well, Ridley Scott's horror sci-fier Prometheus, which has already opened in several countries. The Alien prequel features Michael Fassbender, Noomi Rapace, Logan Marshall-Green, Guy Pearce, Idris Elba, Sean Harris, and Rafe Spall. Chris Hemsworth already has two 2012 releases: Drew Goddard's horror movie The Cabin in the Woods and the worldwide blockbuster The Avengers, co-starring Chris Evans, Scarlett Johansson, Jeremy Renner, Robert Downey Jr, Mark Ruffalo, and Tom Hiddleston. Next in line for Hemsworth is Dan Bradley's Red Dawn, with Josh Hutcherson, Isabel Lucas, and Josh Peck. And next year, Hemsworth will be seen in Ron Howard's Rush, an auto-racing drama co-starring Olivia Wilde, Daniel Brühl, Alexandra Maria Lara, and Natalie Dormer. Snow White and the Huntsman box office: Starring Kristen Stewart, Chris Hemsworth, Charlize Theron, and Sam Claflin, Rupert Sanders' Snow White and the Huntsman opened strongly at Thursday midnight screenings in North America, grossing an estimated $1.38 million at only 1,092 theaters. That's nearly 40 percent more than the $1 million earned by the Sam Worthington 3D fantasy Wrath of the Titans at nearly 1,500 sites, and more than twice the take of the Tim Burton / Johnny Depp comedy Dark Shadows ($550,000 at 1,600 locations). Another box office comparison: Snow White and the Huntsman's $1,266 per-theater average far surpassed that of Will Smith / Tommy Lee Jones' Men in Black III's $694 at 2,232 locations last week. Although it's true that all things being equal, the fewer the number of theaters the higher the per-theater average should be, that doesn't explain an 80 percent higher average for SWATH. Not to mention the fact that Men in Black III – itself a recognizable brand – had the huge advantage of 3D surcharges, which can go as high as 45 percent above the price of regular movie tickets. According to Deadline.com, for weeks Snow White and the Huntsman's tracking had been “underperforming,” with Universal expecting “only” $38m-$42 million. I have “underperforming” and “only” in quotes because, generally speaking, that sort of debut wouldn't be bad at all for an adult-oriented movie (though rated PG-13) that's not in 3D, that's not a sequel, that's not based on a game of some sort, or that doesn't feature comic-book heroes. The issue with Snow White and the Huntsman is its high cost: $170 million. A few budget comparisons: Men in Black III cost anywhere between $225m-$300m, Wrath of the Titans cost $150m, Peter Berg / Taylor Kitsch's Battleship $209 million, Andrew Stanton / Taylor Kitsch's John Carter $250m, Joss Whedon / Chris Evans' The Avengers $225 million, and Gary Ross / Jennifer Lawrence / Liam Hemsworth's The Hunger Games $78 million. Dark Shadows, which bombed in North America ($64.92 million after three weekends), cost a reported $150 million. Directed by Tarsem Singh, and starring Julia Roberts, Lily Collins, and Armie Hammer, Mirror Mirror, the “other Snow White movie,” cost a reported $80 million. Now, even if SWATH opens at the lower end of expectations, that would still be better than Ridley Scott / Russell Crowe's Robin Hood, which grossed $36 million on its opening weekend in 2010. Robin Hood cost a reported $200 millionand ended up earning $105 million at the U.S. and Canada box office and a remarkable $216.4 million internationally. 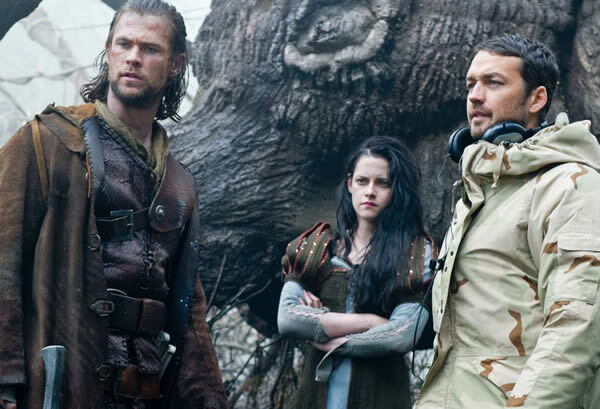 Snow White and the Huntsman: $50 million opening weekend? At Box Office Mojo, Ray Subers is predicting an opening in the $40 million range. As per Deadline, Snow White and the Huntsman is now expected to open close to $50 million – which would be not just “acceptable,” as Deadline puts it, but a solid, strong domestic box office debut, especially considering the film's wildly mixed reviews. Even so, expect SWATH to perform even better abroad. The film opens this weekend in South Korea, Mexico, Brazil, Germany, Spain, and other countries. Now, Men in Black III raked in $1.55 million at midnight screenings, which is less than $200,000 more than Snow White and the Huntsman. Ultimately, the Smith-Jones action flick went on to earn $54.59 million on its opening weekend. Caution: Predictions based on MIB3 figures would be iffy because last Sunday preceded a major holiday; as a result, MIB3's three-day opening was “inflated” by the pre-holiday Sunday. Snow White and the Huntsman will have no such advantage. Snow White and the Huntsman photo: Alex Bailey / Universal Pictures. I beg to differ. Kristen Stewart (not Charlize Theron) is top billed in “Snow White and the Huntsman.” She's the one pictured in the article. And she is the one who plays Snow White! Kristen Stewart's “Snow White and the Huntsman” is just fine and perfectly accurate. its rather “Charlize Theron's Snow White”, huh, TAFG has become a Twifansite? SWATH budget was $170 million and if promo costs were around $90/$100 million then the movie's already surpassed it's financial obligations. Studios usually get around 50% of domestic box office gross; 40% from international take. I hope that clarifies things. I've mentioned that before, but just in case, we'll add that bit of info to the article to avoid confusion. Zac Gille, I'm little confused here. If we take $170m budget adding to $90m marketing expense (I pick the top one), the final number is $260m. With the current total gross, it already profits $75.33m. Why does it have to wait until next week to “getting close to recover production budget…”???? Sorry for my English. i wonder if they make a sequel are the going to slash the budget? the film is far from a flop, but you know universal was hoping for their huge monster hit like fox and the wb have. the budget of snow white is what is keeping from being a “monster hit.” they promoted this film everywhere, and it might not even make back it's budget domestically. it probably will make 350 million no problem. it's a bigger hit overseas, and it's loosing spots here to other films that need the theater space. I loved the movie, but their was a huge question mark at the end that was not answered. How on earth did this film cost 170 million??? dats just dumb!! Are the creators of this movie on crack?? How can you possibly spend that much on a movie, and that to without a garuntee that it will be a hit. Sanders got lucky the movie pulled in money, what would he have done if it did'nt do well?? Would that mean 170 million dollers gone down the drain! snow white isn't a flop. it's more of a modest hit. if universal is smart, and they do a sequel they will lower their budget. why this movie cost that much is beyond me. the cgi wasn't that amazing to begin with. Marketing / distribution expenses vary from movie to movie, studio to studio, of course, but the 50-60% rule of thumb applies to moderate-to-big-budget movies. “Snow White and the Huntsman” as well. You, personally, may have seen less marketing for “Snow White and the Huntsman” than for “The Hunger Games.” But I can assure you that lots of people experienced (or perceived) the exact opposite. My point is that it's impossible to judge how much money Universal spent plugging “Snow White and the Huntsman” based on one person's (or a few people's) experiences or perceptions. True, “Snow White and the Huntsman” will not be able to recover its marketing / distribution budget at the worldwide box office. But most movies don't. It's not a “flop” at all. Those big-budget movies get made because a) international box office b) ancillary revenues. The data is out there, but how the powers-that-be at the studios are going to interpret it is impossible to say. Posters and billboards that I've seen — not only in the US — emphasized that the film's *producer* was the same guy (or one of the guys) who produced Tim Burton's “Alice in Wonderland”! My earlier comment on marketing costs is missing, so here I go again. The rule of thumb of marketing costs amounting to about 50% of a movie is typically used in relation to medium budget movies (around $70M to $110M). I am not sure if the same yardstick can be used for a movie with a budget of $170M. For comparison's sake Hunger Games spent $55M on promoting the movie (as reported by Bloomberg) and Snow White did not promote as much as Hunger Games. So my guess would be around $45M to $50M marketing costs for Snow White. Additionally, distributors tend to get a higher percentage of ancillary revenues such as DVD and Blueray (on an average, distributors get around 75% of DVD revenues). And SWATH has already sold TV rights to FX, so I don't see the movie having trouble recovering its total cost. In fact after adding the ancillary revenues (including merchandising), the movie should end up with an okayish profit. Hi Zac, I have heard the rule of thumb of marketing costs amounting to about 50% of a movie being used but only in relation to medium budget movies (around $70M to $110M). I am not sure if the same yardstick can be used for a movie with a budget of $170M. For comparison's sake Bloomberg reports that Hunger Games spent $55M on promoting the movie (http://www.bloomberg.com/news/2012-05-30/lions-gate-has-quarterly-loss-on-summit-hunger-games-expenses.html) and Snow White did not promote as much as Hunger Games. So my guess would be around $45M to $50M marketing costs for Snow White. Actually I see you made the same point about the marketing budget. I think the Universal execs, in the wake of Battleship, panicked and spent like there was no tomorrow to get a respectable box office number so that they would not face an immediate corporate firing squad. (I've seen $80-100 million floated around and it's believable given the full court press marketng that preceeded the film). That may have to wait for the shareholder's meeting. But then bombs like John Carter and Battleship made over $200 million overseas. Hi Zac, As you noted the 300M+ movies as a particular mark. What does this mean overall for either Stewart's or Hemsworths's careers? Pay raises? More green lighting power? Certifiable stardom? Or proof of bankability? Ultimately, who will get the credit for SWATH? And from business-wise, was this a certifiable hit? @zoe, studios plan sequels all the time. many times they never see the light of day. as for snow white it's a modest hit, but nothing to write home about. like the article says studios don't see full profit from overseas, and this movie probably won't make it's budget back domestically. That was the exact opposite for The Hunger Games. If that had had stronger overseas sales, it just might've sneaked into the $1B club. Cheryl: SWATH indeed cost $170m, likely not including promotion. It'll probably need to make around $350m worldwide as a result, which is a stretch at this point given that it's just barely cracking nine figures domestically (granted, Madagascar and Prometheus have had a hand in that, but SWATH was also pretty lousy in the first place), and it has only nine international release dates remaining. Once again @JP, thanks for the comment. Note: The reported $170m is the production budget, not including marketing/distribution expenses. But there's a good chance “Snow White and the Huntsman” will earn more than $340m worldwide. It has several major markets (France, Russia, Japan, Italy) where it can fare quite well. Also, it has been holding up better abroad than in North America. Did SWaTH cost 170 million to make? Who is reporting this? I don't think Universal has said. I've never seen so many calculations to prove whether a film made money or not. If it wasn't profitable I don't think Universal would have embarked on SWaTH 2. Also some it's possible that some of the costs of SWaTH can be applied over the sequel. Did you even bother reading the entire article? It doesn't “lay” into SWATH at all. KStew fans really need to stop being so freakin' defensive about anything that even remotely comes across as criticism. Funny Universal is already planning a sequel so they seem confident in Snow White even if no name blogs are trashing it's take home. Why don't you write this post for Men in Black or Prometheus? Stop laying into just Kristen's film she doesn't need another blog going after her. The figures provided in this Zac Gille article don't take into consideration “things like merchandise” because, as clearly explained in the piece, it's about “Snow White and the Huntsman'”s *box office* — not ancillary revenues. Your figure doesn't take into consideration things like merchandise which has been extensive for this movie. I saw it last week for Charlize Theron ….but truth be told ….as much as I have a fondness for fairy tales… without Ms. Theron, I didn't think it was worth seeing….Wicked Stepmother made the movie! Some people discounted the power of the Twihards. We are still around people and we love Kristen Stewart.